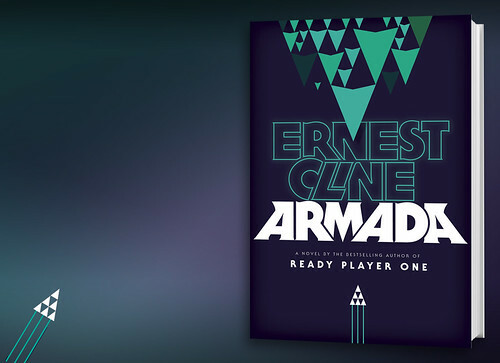 Ready Player One author Ernest Cline has released his new novel, Armada, a story which will seem somewhat familar to fans of 80's movies. I really didn't like Ready Player One that much. Was incredibly disappointed, to be honest. I absolutely adored Ready Player One. Easily one of my favorite books of all time. Was very excited to receive my copy of Armada yesterday so I've already started in on it. Very excited to see where it takes me. I'm only a few pages into it. Solid opening chapter. I also snagged a western noir titled The Winter Family by Clifford Jackman (which is totally and believably not my pen name). Already almost done with the audio book. Wil Weaton speaks to me while I drive. Why would anyone want to listen to that pretentious douche read to them? I also listened to the audiobook for Ready Player One. Wil Wheaton does a pretty great job with it. So... it is or is not a retelling of The Last Starfighter? I think it starts out as a straight retelling of Last Starfighter and then veers off at some point into an original story. It turns out, he was DEAD the whole time!